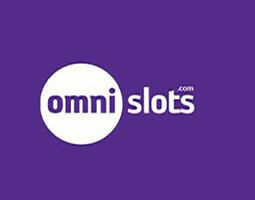 Get all the information on Omni Slots from the Casino Veteran. Some say he designed the Bugatti Veyron, others that he shines a beam of light from his eyes that can spin a roulette wheel. He is the Casino Veteran, and he could not wait to check out all the benefits of Omni Slots. For players looking for an online casino that they can trust with a great reputation in the industry, Omni Slots is ideal. Operating since 1997, it has a long-established history of fairness and superb customer support. Players can reach its helpful team 24/7 through Live Chat, phone or email if they ever need a hand.When players first enter the site, they will find an impressive overall theme. It has a very classy and luxurious look that makes players feel like they are in a real casino. Navigating around the site is easy, and it is extremely fast to load games. The games are simple to find due to the different categories in which the site lists them. It really does offer a wide choice, from slots to casino games and Live Dealer games. Omni Slotso holds a gaming license from the Government of Curacao and uses the latest SSL technology to protect players’ sensitive data. One of the few online casinos to hold a Certificate of Trust, it has a lot to recommend to players. This is assuming that they can play here from the country where they live. Although this online casino is great in so many ways, its mobile casino is a bit lacking. 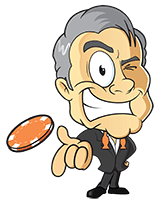 To be fair, it does enable people to play via their Android or iOS devices, but the mobile version of the casino is quite basic compared to the desktop one, and players also need to download the app. This is a bit of a shame, and hopefully the site will review the mobile casino soon. However, the available games are fine, and the mobile site is easy to use. This is one of the best online casino Welcome Bonuses that players can find, so it is well worth checking out. This online casino has the advantage of being one the few powered by Playtech games. This means that players get an excellent choice of titles from Iron Man 2 to Desert Treasure. However, there are no titles from other game developers available. After a hard afternoon catching a few chukkas of polo and a few après-match liveners, the Casino Veteran arrived home in his Lamborghini Aventador. Needing a fun way to unwind before bed, he opted to try Omni Slots Luckily, he lives in a country that is not on the large restricted list of this casino. The impressive Welcome Bonus made him smile, and he decided to try one of the many awesome Playtech slot games on offer. Gladiator: Road to Rome tickled his fancy, and he soon felt like he was right there in ancient Rome. Before he knew it, the night was gone, and he had racked up some nice winnings. Impressed with his evening’s fun, he will certainly be recommending this site to his friends.